Want to get involved with bunnies in our community? Want to talk to other rabbit people, both in your neighborhood and across the country? Want to be an advocate for rabbits? Bunnies in local animal shelters and rescue programs need you! Do you have time to give them some playtime, brush them, or talk to them? Maybe you would like to donate some rabbit-safe toys for them to play with? How about stopping by with some fresh veggies (every bunny loves that!)? If any of these things sound like fun, visit the rescue and shelter websites on our Adoption page to find someone near you. Our volunteers make our rescue and humane education programs possible! If you love bunnies, agree with our mission to educate people about having house rabbits as companions, and want to make a difference for animals in our community, come join our team! 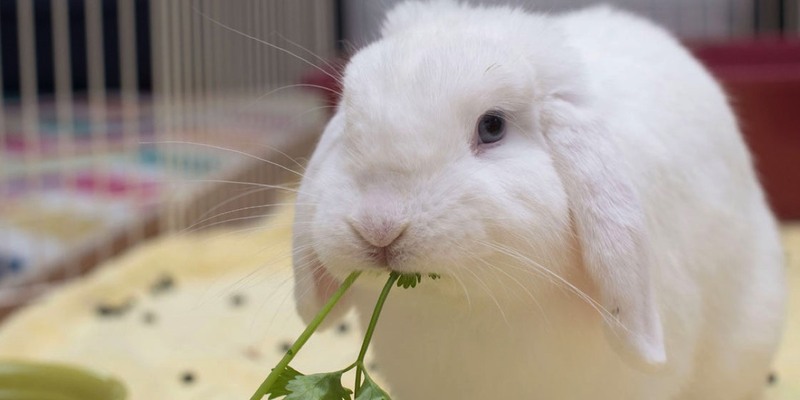 Play with bunnies by letting them out for exercise time, watch how cute they are when they eat by bringing them salads, and do light housekeeping (change litter boxes, change blankets, sweep, wash food and water bowls, etc). Bunny Butler shifts are at AniMall Pet Adoption and Outreach Center/Unleashed at AniMall in Cary Towne Center Mall. After a short training, volunteers sign up online. Volunteers must be able to come to AniMall Pet Adoption and Outreach Center in Cary, NC. Volunteers must complete a short training about bunnies (no prior bunny experience necessary). Volunteers must be age 18 or older to volunteer on their own. We welcome adult/youth teams for youth ages 8-17. Youth ages 16-17 may volunteer on their own with a parent’s permission. Time commitment: 1-2 hours per shift, shifts are weekly, biweekly, or monthly. How far will you go to help a rabbit? Across town? Across the state? Either way, the bunnies have a job for you! Chauffeur rabbits from vet visits, foster homes, or shelters and other rescues. Transport may be local to the Triangle area, or may involve crossing county lines to meet other drivers coming from outside of the Triangle area. Weekday and weekend drivers needed. Time commitment: Varies depending on transport. Surgery transports from a Raleigh or Cary veterinarian are usually Tuesday, Wednesday and Thursday. Longer distance transports are usually weekends. Entertain, delight, and educate others about bunnies by joining the Communications team! You can help by creating and sharing pictures, videos, or brief write-ups for social media, writing 300-700 word blog posts, or writing 1-2 paragraph newsletter articles (with images). Love search engine optimization? Assist with our website. Long for fame and fortune (ok, maybe just fame)? Volunteer to help with news stories and WRAL pet of the day appearances. Share your love and knowledge of rabbits with our local community by helping with outreach events at retirement homes, schools, university clubs and community events. Host social events on meetup.com, help with rabbit agility club and other small events hosted by Triangle Rabbits. Time commitment: Varies, generally 1-3 hour shifts. Share your home with a rabbit or rabbits in need. Fosters provide food, hay, water, toys and lots of love. Limited cages and supplies available, depending on donations. It saves lives by making space in the shelter. It helps rabbits become used to a home environment, with new sights, smells, and sounds. It helps with socialization, so a rabbit is more adoptable. It gives rabbits a place to stay until they can be spayed/neutered, and a safe, comfortable place to recover from surgery. It helps shelters and rescues learn about a rabbit’s personality so they can match them with the right family. Time commitment: Varies depending on opportunity. Vacation (1-2 weeks or less), short term (2-8 weeks) and long term (8+ weeks) vacation foster homes are needed. To sign up, fill out our Foster Interest Form. Adoption events and fundraising are Mission Critical to Triangle Rabbit’s ability to help rabbits! Help us help more bunnies by assisting with or coordinating major adoption and fundraising events! Our biggest events are Bunfest (summer and winter), and Happy Holiday Tails (December). We also host several smaller fundraising events during the year with product sales pickups, such as the spring flower fundraiser, or a local restaurant fundraiser. Event volunteers contact and coordinate vendors and rescues, coordinate and recruit volunteers, help spread the word about the event, setup and cleanup for the event, teach classes, or help with activities. Time commitment: Availability for event planning meetings, availability for organizing tasks and needs (arrange for tables/chairs, coordinate with vendors, etc), event set-up or clean-up (1.5-3 hours), helping during the event (usually 2 hour shifts). Help bunnies find their forever homes! Meet with potential adopters, discuss general rabbit care and information about the adoptable rabbit, or assist with speed dates between rabbits. Two volunteers will be present for meet and greets or speed dates. This is a required part of our adoption process, and a great way to help rabbits get adopted! Time commitment: Varies, usually 1-1.5 hours per meet and greet. If you are interested in helping out with any of these programs, fill out our Volunteer Interest Form, or drop us a note at info@trianglerabbits.org. Small Pets Butler volunteers help with the rabbits and other small animals at the SPCA Adoption Center (200 Petfinder Lane, Raleigh). A volunteer shift includes supervising exercise time, bringing fresh salad, and light cleaning. Visit the SPCA website to sign up! Time commitment: 1-3 hours per shift, depending on the number of animals at the adoption center. Triangle Rabbits Meetup group - our Meetup group in the Triangle area! Find classes, social events, and help with adoption events. Etherbun - a moderated list devoted to the health, care and behavior of domestic, companion rabbits. Follow our rescue friends to help with networking!